/ Why Do Mountain Bike Helmets Have Visors? Have you ever wonder why are there so many different types of helmet for biking? And why do mountain bike helmets have visors while the road bike helmets do not? In this article, you will learn more about the different types of helmets used for different styles of cycling and why they are different. Why Do Mountain Bike Helmets Have Visors And Road Bike Helmets Don’t? Cycling is an outdoor sport and hobby enjoyed by both men and women. Choosing a bike helmet requires careful consideration. While they might look the same at first glance, bike helmets are made for different purposes and cycling disciplines. Just like with most gear and equipment, you can only appreciate them if they are used in the right situation. All bike helmets have two main parts: the shell and the lining. The outer shell is usually made of strong polycarbonate plastic material while the lining is made of EPS foam. So how are bike helmets different? They are different in the kind of special features included as well as in the overall design. You will notice that road biking helmets look simpler than mountain biking helmets. There aren’t any visors because riders need better vision, which can be obstructed when there is something shielding the eyes. For this reason, you will often see riders of road bikes wearing sunglasses instead for protecting their eyes from dust and the glare of the sun. Aside from this, road biking helmets tend to have more air vents for better air ventilation or flow during cycling. They are also larger because there is less risk of stray objects, and if you have an accident you will fall on a smoother surface. In other words, there aren’t any branches or twigs that will come through the vents should you fall or crash while cycling. The price is really expensive for this type because it costs more to make a lightweight helmet with an excellent lining that will still pass the safety standards of CEN. You have to pay a lot for guaranteed safety on the road. Another physical feature that will help you identify a road biking helmet from the other type is that it’s sleeker and more compact. If they can obstruct your view, why do mountain bike helmets have visors? The answer is because of the difference of the body position of the rider while cycling. When riding a mountain bike, your posture is more upright compared to riding a road bike. Thus your vision won’t be limited. Aside from this, riding through the woods with sunglasses is difficult because your surroundings look dimmer or darker. Therefore, the best shield for the eyes in this cycling discipline is a bike helmet with a visor. As mentioned above, MTB (mountain bike) helmets have fewer air vents and more head coverage. That is because there is a higher risk of injury when you fall off on an uneven surface. There could be falling stones or branches that could injure you if you are not using the right helmet. So manufacturers of MTB helmets make sure to cover the back as well as the sides of the head. This way, your skull will be more protected. Some people switch from road biking to mountain biking from time to time. To save money, they choose bike helmets with a removable visor and just enough air ventilation or vents. There is no rule that says you should only wear the right type of helmet for a specific cycling discipline. You are free to wear a road bike helmet or MTB helmet while riding to work or cruising around the town. Of course, you can also wear an urban-style commuter cycling helmet with fewer vents and with features like LED lights to allow drivers to see you at night. For optimal head and face protection, you can opt for a full-face helmet. This looks similar to a motorbike helmet but is more compact and smaller. 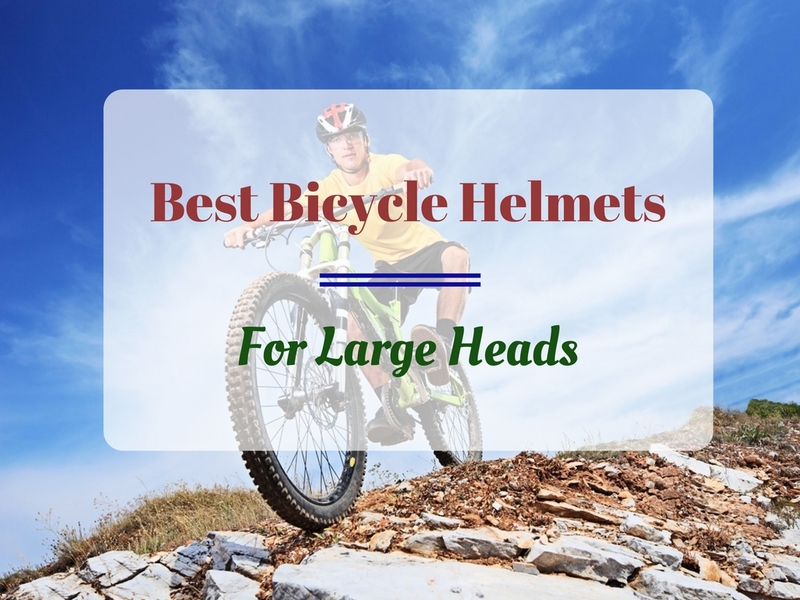 For children who have a smaller head circumference, there are also children’s biking helmets made for them.